Time to sell your Gulf Village condo? Read about today's resort-market condo buyer. 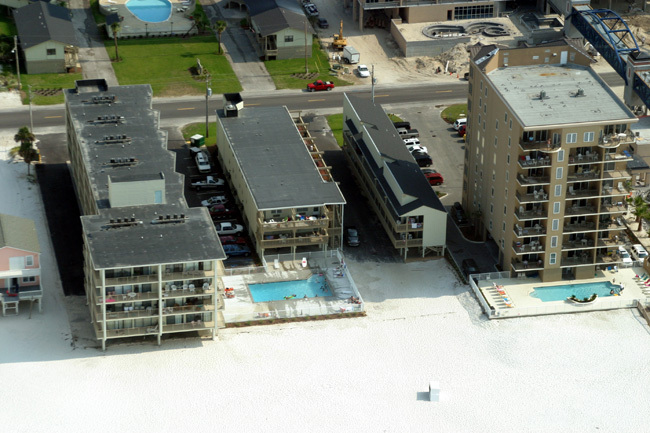 Gulf Village condos are located in the popular West Beach area of Gulf Shores and close to the Gulf Shores Hangout and public beach. Gulf Village features both gulf side and lagoon side units providing direct gulf access and a large expansive beach on Little Lagoon. Property amenities for Gulf Village include an outdoor pool, BBQ area and partial gulf views. This condominium consists of 60 units built in 1982 and the floor plans are all two bedrooms at approximately 900 square feet. Gulf Village condominiums sits between gulf front developments Legacy & Gulf Tower, and across the street from Crystal Tower. 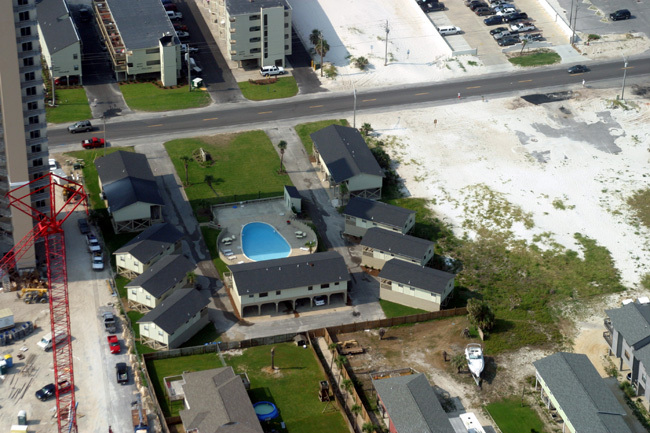 Use our site's helpful features such as interactive maps, prices of recently sold condos, aerial imagery, and current listings of all Gulf Shores condos for sale. Please let us know if you would like further info for Gulf Village or any other condos, homes or real estate along the Gulf Coast or would like to schedule a private viewing by emailing info@condoinvestment.com or by calling (251) Area-Pro (251-273-2776) for immediate assistance. Use our RENTAL TIPS to help increase your Gulf Village rental revenue. 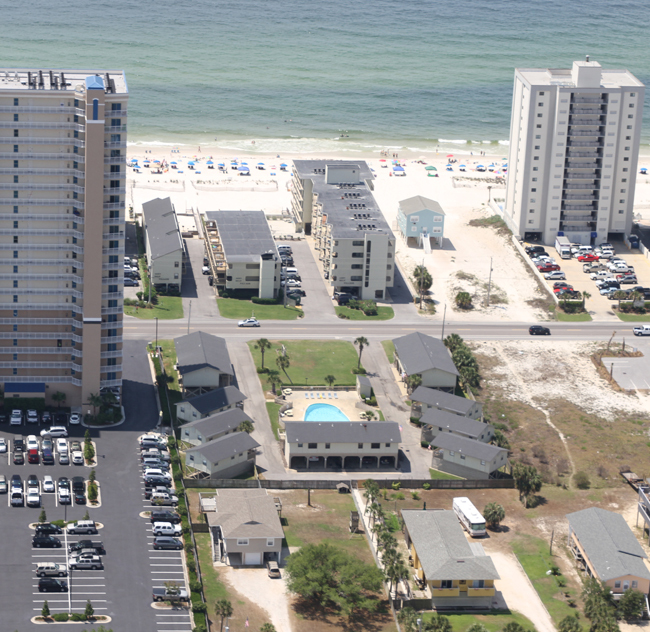 Visit our Condo Revenue page to find annual rental income for Gulf Village and all other Alabama Gulf Coast condos. 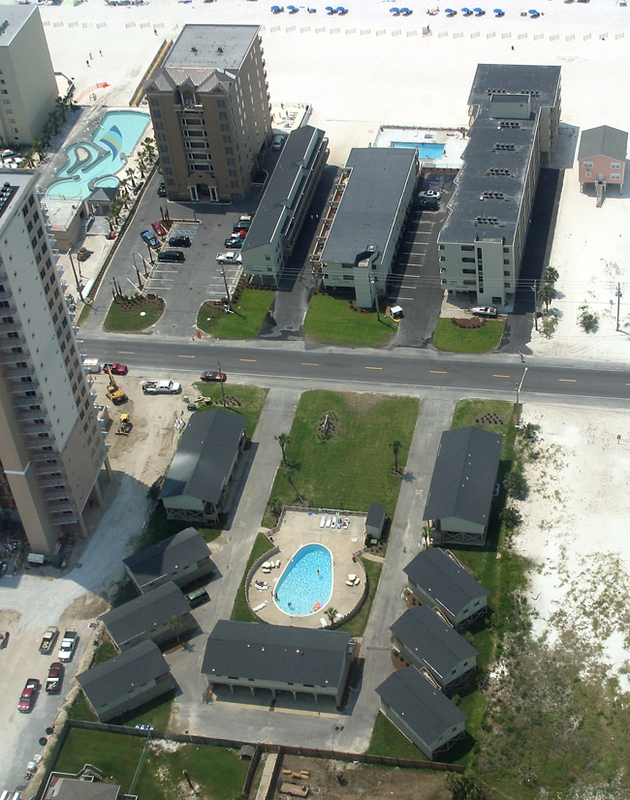 Gulf Village has condos on the Gulf of Mexico and also on the Northern side of Beach Blvd. 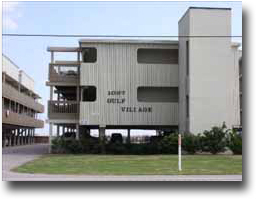 Gulf Village has been around since 1984 and is comprised of approximately 60 condos. 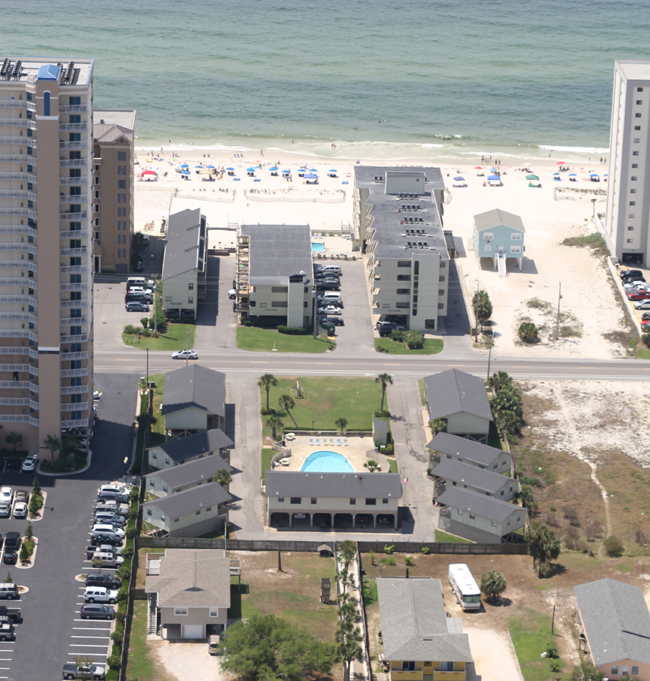 The condos are in the popular West Beach area of Gulf Shores, AL. Gulf Village is walking distance to the Gulf Shores Hangout and numerous other restaurants, bars, shopping venues and plenty of fun things to do. Just to the right on the photo, which is East, sits Legacy condominium. In the above photo, both North & South areas of Gulf Village condominium are easily spotted. In the left-most side of the picture, part of Crystal Tower condominium is seen; Crystal Tower is on the North side of Beach Blvd. The condominium on the right side of the above photo, to the West of Gulf Village is Gulf Tower condominium. Same as before, but zoomed in a little more to Gulf Village. From this angle over the gulf, Little Lagoon in Gulf Shores is visible. Little Lagoon has a pass in to the Gulf of Mexico, but it's typically too shallow to use and jet-ski type of watercraft is about all that can traverse West Pass. 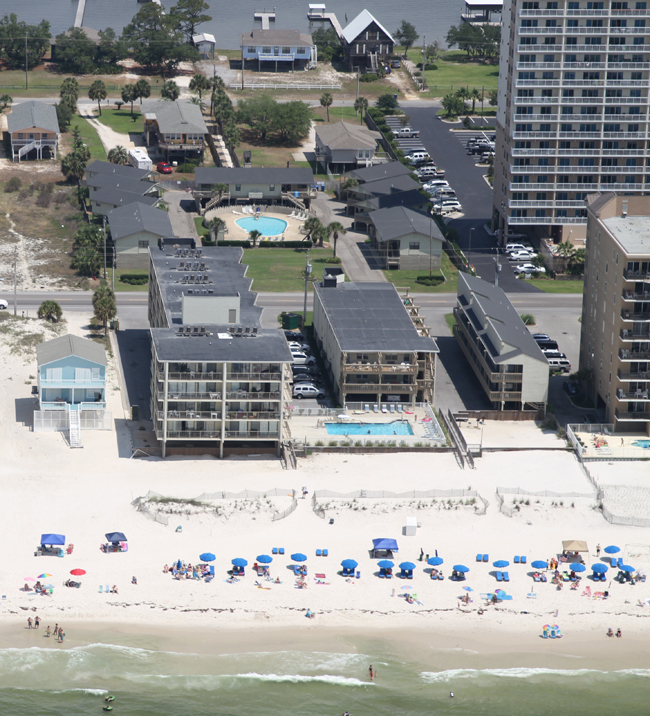 This beautiful high shot clearly shows the grounds of Gulf Village and neighboring properties in the West Beach area of Gulf Shores. 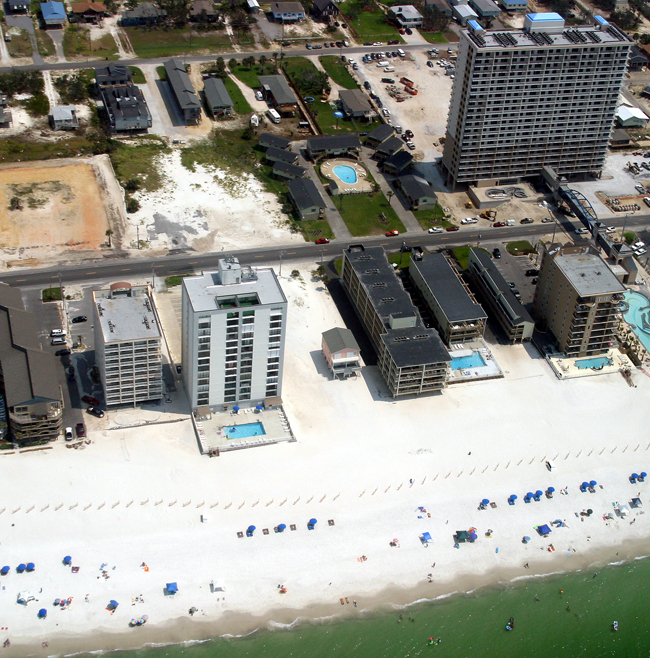 From this great shot of a West Beach section of Gulf Shores, AL, the following gulf front condos can be clearly see. The first high-rise from left to right: Caribbean Condo, Gulf Tower condominium, Gulf Village Condos and Legacy condominium and across, with the elevated walkover is Crystal Tower condominium.